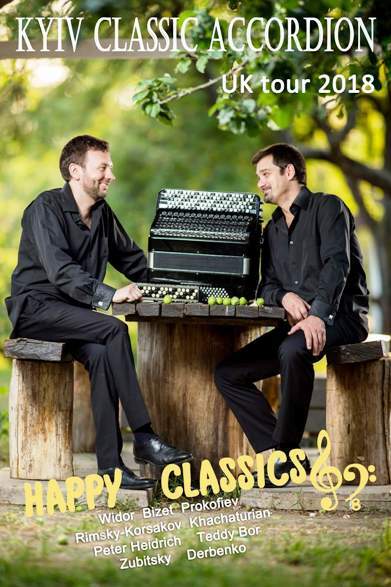 If you’ve never heard the Kiev Classic Accordion Duo, the truly inspirational Igor and Oleksiy, then you have missed a treat. They are world class. And if you have heard them before then you’ll want to hear them again. Everyone is welcome. Children from about 8 years will find this concert enjoyable. No entry fee. Retiring Collection. Bar, with soft drinks too. The funds they raise are for older teens and young adult victims of the Chernobyl nuclear disaster which happened in 1986. Igor’s sister is one such victim.